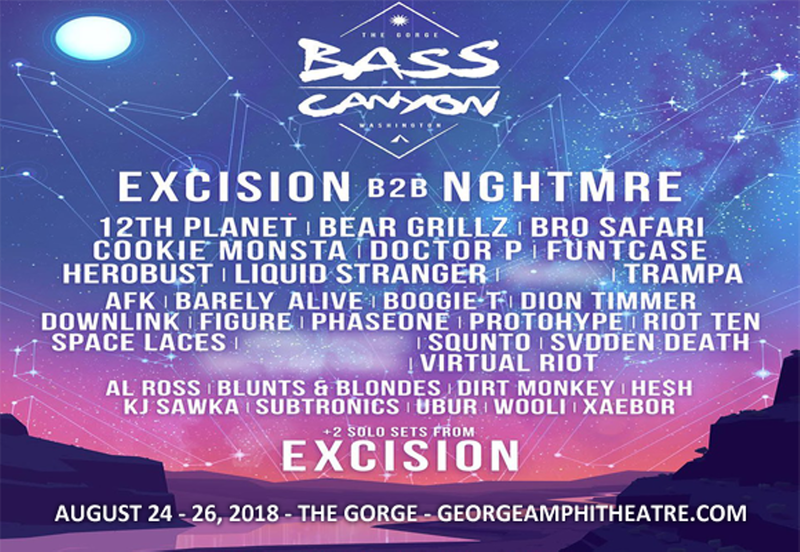 The inaugural Bass Canyon Festival is here! Bringing you three days of non-stop bass in one of the world's most beautiful venues, The Gorge Amphitheatre, Bass Canyon Festival is a place where memories are made! Get ready to experience state-of-the-art visual productions with some of the hardest hitting bass music around.